Neil Gaiman has a particular obsession with mythology, especially Norse mythology, and that interest is right up my alley. I’ve always been fascinated with the gods, Greek and Roman, but also Norse, from the naming of our planets and days of the week to their archetypal appearance in so many of the fantasy books I read growing up. And also, I was brought up religious, but have now turned that knowledge into an understanding of Christian mythology as well, how the stories we hear as children shape our belief systems, even if they are completely fabricated and unbelievable. Gaiman swings for the fences with American Gods, an epic novel on the struggle to reconcile ancient traditions with modern technology, with a fantasy flare that will capture the imaginations of that genre’s nerd contingent. Shadow counts down the days until he is released from prison for a petty crime gone wrong, until he can return to his loving wife Laura and the simple existence he knew before his giant mistake. But he is let out early for a terrible reason; Laura has died, and Shadow is free to go, though now nothing waits for him back home. Consumed by grief and the inability to see a future ahead, he runs into the same man twice, seemingly coincidentally, although Shadow will soon learn that there are no such things as chance encounters. The man gives his name as Mr. Wednesday, and he asks for Shadow to work for him, to be his driver and right hand man, to stand his vigil if he is ever struck down, whatever that might mean. A war is coming, and Wednesday is in the process of rounding up some very special people to fight on his side, people who aren’t exactly human, who have been biding their time for centuries, who are tired of the changing landscape of America and are ready to die to protect their legends. I know a good bit about various mythologies, but even I had to reference some articles every now and then to keep the characters straight, to understand who they were in secret, behind the names they gave readers. Just don’t find out too much, you wouldn’t want to spoil anything, because there are some twists in Shadow’s road, and the surprises are worth your time. The novel is as well, a story that pulls from mythology, makes excellent observations on modern culture, and puts a fascinating figure forward as the main character, someone we can rely on, root for, and see ourselves in, no matter what awful decisions he is forced to make. The book is definitely written in an unusual style, it takes some getting used to, but if you are brave enough to invest you will be rewarded with something special. Gaiman is a ceaseless fountain of literature, but you may have heard of or read some of his major works: Neverwhere, Coraline, Odd and the Frost Giants. 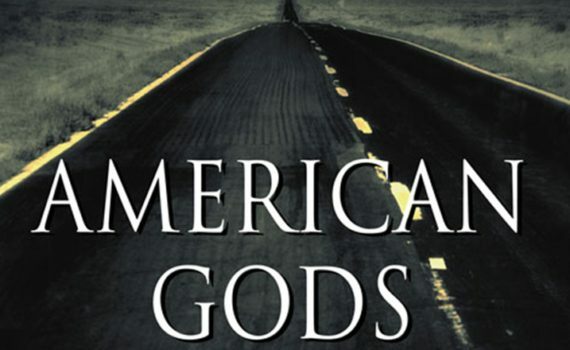 Make sure to add American Gods to your book list if you’ve enjoyed those or any others from Gaiman; it’s his most adventurous and ambitious, and quite worth your time.